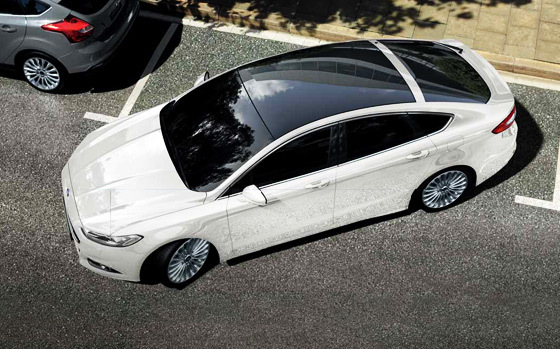 It’s the progressive, self-assured silhouette the Mondeo cuts that demands attention. From the iconic trapezoid grille to the panoramic roof on the Titanium model, every inch radiates confidence. This is not a case of style over substance. Each precision element contributes to a highly aerodynamic profile, which ensures the Mondeo doesn’t just turn heads, it turns them quickly. 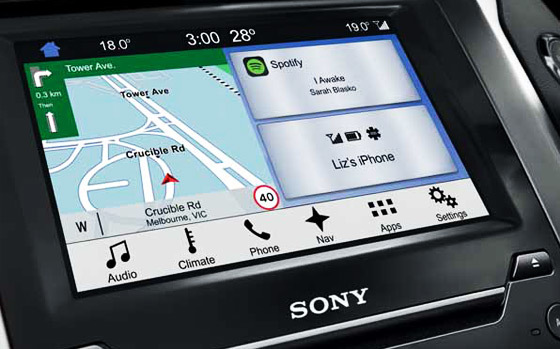 SYNC® 3 is a fully integrated, voice-activated system cleverly designed to let you use your favourite devices while your hands stay on the wheel, and your eyes stay on the road. * Sync your phone to call your friends, play your favourite music, find the perfect temperature with hands free climate control, and stay on track with the integrated Satellite Navigation System. It comes complete with an 8" capacitive LCD Touch Screen. Best of all, it can be paired to more than one mobile device. SYNC® 3 Emergency Assistance# can call emergency services and share your exact GPS location in the unlikely event of an accident that shuts off the fuel pump or activates an airbag. Seamless integration with your smartphone through Apple CarPlay™,~ Android Auto™† and Applink™◊ allows you to choose how you remain connected to your world.^ At the touch of a finger it is easy to access the features you want. With a new capacitive 8" touch screen SYNC®3* is quicker and more responsive than ever before. Stay in touch with your world. Just say the word and SYNC® 3 keeps you connected, while your hands stay safely on the wheel and your eyes on the road. And when you’ve reached your destination, take your hands off the wheel and Mondeo Titanium will steer itself in for a perfect park. *SYNC®3 standard on all models commencing May 2016 production. Not all SYNC®3 features are compatible with all phones, for full compatibility list see www.ford.com.au/sync #To use Emergency Assistance, your phone must be paired and in mobile reception range. ~Apple CarPlay™ requires phone with compatible version of Apple iOS, active data service, and connection cable (sold separately). SYNC® does not control Apple CarPlay™ while in use. Apple is solely responsible for their functionality. Message and data rates may apply. Apple CarPlay,™ Siri Eyes Free, iPod and iPhone are trademarks of Apple Inc. registered in the US and other countries. †Android Auto™ requires phone with compatible version of Android Auto™ and active data service. Android Auto™ requires phone with compatible version of Android Auto™ and active data service. Android Auto™ and Google Maps are trademarks of Google Inc. ◊Ford Applink™ is available on selected SYNC® models and is compatible with select smartphone platforms. ^Local laws may prohibit the use of some features. Check your local road rules before using. ‡Available on Titanium models only. Whether you’re driving in stop-start traffi c, reversing out of a tight spot, or just trying to keep your younger drivers safer – Ford’s latest smart technologies have got you covered. 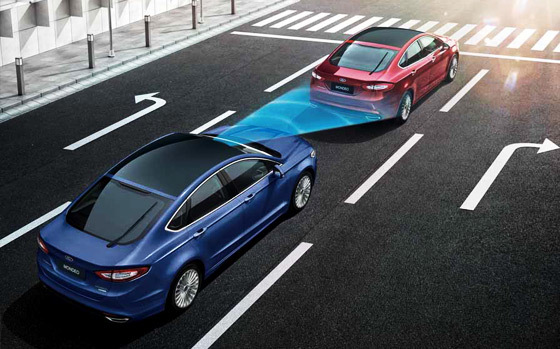 In the all-new Mondeo, prevention is just as important as protection. A system of airbags and rear inflatable seat belts protect while advanced sensor technology offers drivers a higher level of control in all kinds of situations. BLIS is your extra set of eyes. When sensors detect that a vehicle has entered your blind spot, an indicator light appears in your side mirror. Reverse like you have eyes in the back of your head. The Rear View Camera lets you clearly see what’s behind you, while the beep of the rear parking sensors tells you how close you are. The system even automatically turns down your music so you can hear the beeps clearly. Handing over the keys to the younger members of your family is a tough call. 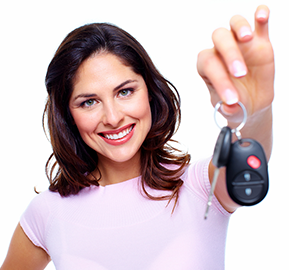 MyKey™ helps make sure that they’ll drive as if you were in the car with them. You can program it to remind them to put on seat belts, limit their speed, keep their music volume down and concentrate on the drive, not their phone. *Active City Stop may help avoid, or minimise the impact of a collision between speeds of 3.6 and 40km/h. It is not a substitute for driver alertness. Function may not operate in some driving and road conditions, or adverse weather. †Available on Trend and Titanium models. ~Will be available on Ambiente from June 2015 production. ^Driver-assist features are supplemental and do not replace the driver’s judgement. ßMay help avoid or minimise the impact of a collision. It is not a substitute for driver alertness. Function may not operate in some driving and road conditions. We give you the choice of two of our most fuel efficient and powerful engines and fuel saving technologies. 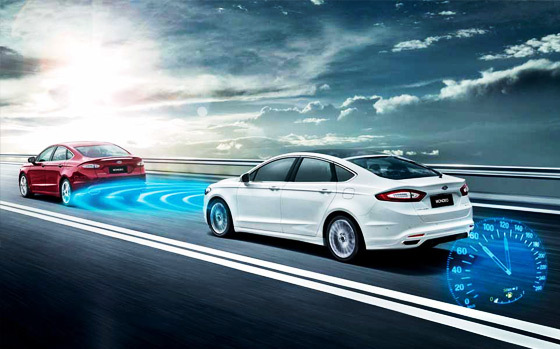 Then we top it all off with Ford’s latest performance technologies that give you greater control and ease of driving. Cruise Control is great on the open road. But, even here, you can find traffic. So instead of having to turn the system on and off, it will adapt. Sensors scan the traffic ahead, updating their positions 20 times a second. If they sense that traffic has slowed, your vehicle will slow also. When the traffic clears, it returns to your preset speed. The ease of an automatic and the thrill of a manual. With Paddle Shift ers on the steering wheel, similar to those used by racing drivers, our automatic transmission lets you shift through gears, smoothly and eff ortlessly, without having to use a clutch. Our highly fuel-efficient 2.0L TDCi diesel engine is a gutsy performer. 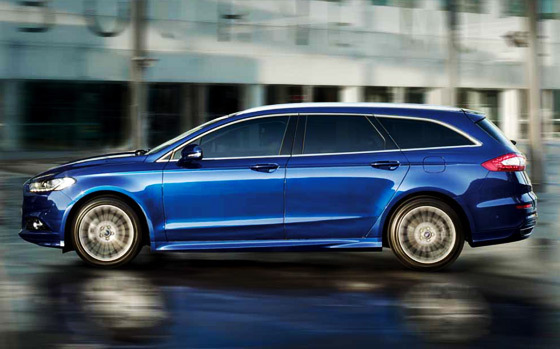 Its turbocharged four cylinders deliver responsive power and torque that builds low in the rev range. The combination of turbocharging, direct fuel injection and twin independent variable camshaft timing (Ti-VCT) in our 2.0L EcoBoost delivers more to you. This four cylinder petrol engine is smaller and lighter than larger displacement engines so it delivers superior fuel Mondeo Titanium Hatch shown. economy, yet there is no compromise on power. *Available on Trend and Titanium models only. Driver-assist features are supplemental and do not replace the driver’s judgement. 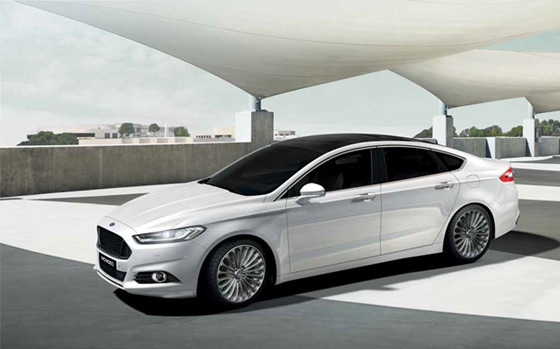 Mondeo knows when to work hard, but is smartenough to know when to conserve power and fuel. 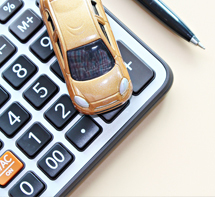 Think how much time your engine spends idling in heavy traffic or at lights. Then think how much fuel you could save if you switched it off every time. That’s what the Mondeo diesel models automatically do when you idle. Release the brake to go and the engine smoothly restarts, giving you a 4% to 10%# improvement in your fuel efficiency. Stable, responsive steering is the hallmark of a quality drive. Electric Power Assisted Steering (EPAS) adjusts to feel lighter in slow traffic and ‘heavier’ at higher speeds for greater control. It also adapts to changing conditions, like cross winds, to keep you on track. But it only comes to your assistance when it’s needed, saving you fuel. *Deactivation will not occur in all situations. ^Available on diesel models only. #Based on figures obtained from controlled tests using ADR 81/02 combined cycle for vehicles with and without Auto Start-Stop. From the leather steering wheel and dual zone climate control, to smart driver-assist technologies and voice-activated controls, the cleverly designed Mondeo comes with all the features to ensure you arrive in style. If there were an award for best view from a car, this would be it. The Panorama glass roof takes up nearly all of the roof area, so everyone inside gets to see more of what’s going on outside. It also comes with a power sunshade for those extra sunny days. 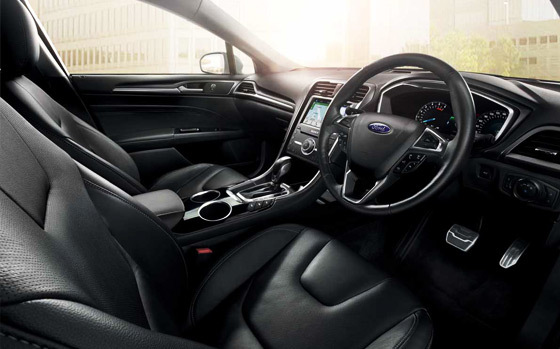 Wherever you look inside the Mondeo’s cabin, you’ll find a perfect blend of form and function. Sleek, elegant interiors house the Mondeo’s intuitive features, while the ergonomic styling makes sure they’re always within reach. Not only do these lights automatically turn themselves on and off with changes in natural light, but they also help you see around corners. A standard headlight’s beam is usually fixed on one spot. These lights change the beam’s angle, pattern and intensity according to your driving conditions so it’s always on the road, no matter what. *Available on Titanium models only. †Available on Trend and Titanium models only. 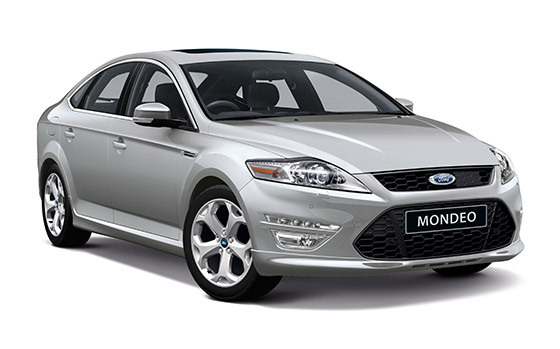 The Mondeo offers high levels of protection and control that are reflected in its 5-star ANCAP safety rating. 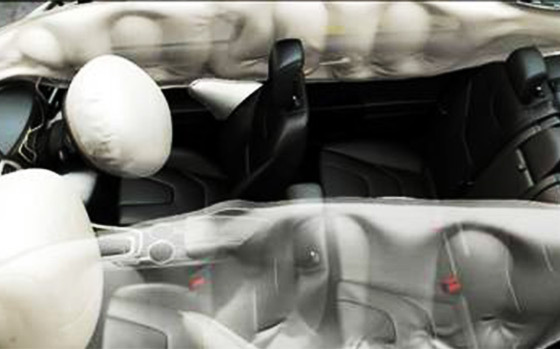 Airbags, including side curtain airbags and rear inflatable seat belts, help maximise occupant protection, while Dynamic Stability Control helps keep you on track, especially around corners or when you need to swerve. These seat belts provide extra protection for outer passengers in the back. They distribute the force of an impact across a wider area of the torso and help support the head and neck. They are also designed to hold people in the correct seating position, which can help reduce the risk of injury in a front or side impact.